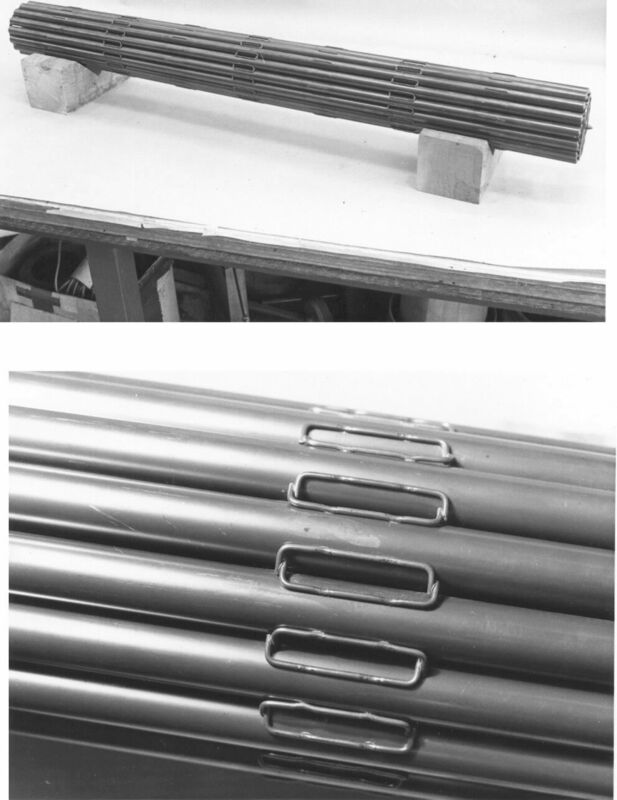 There was always the question of double length bundles as the fueling machines magazines were two bundles long. I always had great doubts of it’s practicability. Late in the programme a couple of bundles were built. The dimensional stability of the bundle was poor due the long elements. There was a large problem in trying to find a means of making a rigid plane in the center plane of the bundle to improve the stability of the elements. The handling of the 100 lb. bundle presented too many problems both in manufacture and at the stations. It was not developed further.